“There remains a path to recovery, yet we do not have the luxury of time,” IMF Managing Director Christine Lagarde appealed to global political and economic elite at the annual meeting of central bankers in Jackson Hole, Wyoming. Christine Lagarde, a former finance minister of France, clearly outlined the main challenges facing the global economy, while focusing on the crises in Europe and the USA. The emphasis of her speech was that politicians were the ones who had to deal with the crisis by acting urgently, decisively and boldly. The three major problems of the day are related to sovereign debt of the advanced economies, banks in Europe and households in America. “While fiscal consolidation remains an imperative, macroeconomic policies must support growth," Ms Lagarde warned not for the first time. 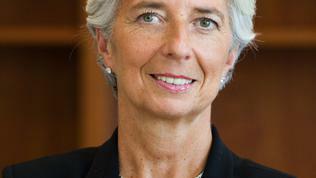 The United States, according to Ms Lagarde, should focus on the link between fiscal consolidation and growth. Although at first glance the two challenges to seem contradictory, they are interrelated because “credible decisions on future consolidation - involving both revenue and expenditure - create space for policies that support growth and jobs today”. On the other hand, “growth is necessary for fiscal credibility - after all, who will believe that commitments to cut spending can survive a lengthy stagnation with prolonged high unemployment and social dissatisfaction?” The second major challenge facing the United States, said the IMF Director, is linked to deteriorated household budgets, troubled by foreclosures and falling property prices. “Two years ago, it became clear that resolving the crisis would require two key rebalancing acts - a domestic demand switch from the public to the private sector, and a global demand switch from external deficit to external surplus counties.” According to Ms Lagarde, however, progress in rebalancing is too timid, while challenges are increasing. While developed economies are struggling with their high debts and distressed public finances, “in some key emerging economies, policies keep domestic demand growth too slow and currency appreciation too modest, if not blocked outright”. Others “are dealing with threats to economic and financial stability from capital inflows”. Global media noted that Ms Lagarde's messages were fully supported by Federal Reserve Chairman Ben Bernanke and the head of the OECD (Organisation for Economic Cooperation and Development), Angel Gurria, as well as by leading central bankers and economists. The Financial Times, however, is citing unnamed European officials, who sharply criticised Ms Lagarde for her “confused” and “misguided” statements regarding the European banks. The call for clear messages and decisive political actions in Europe comes at a time when negotiations for the second bailout for Greece are blocked because of the attempts of some eurozone countries to obtain collateral for their contributions; the procedures for ratification of the euro leaders' decision to change the scope of action of the EFSF (the rescue fund for the euro area) have stalled because of the parliamentary holidays or domestic political contradictions; and German financial institutions are still hesitant to participate in Greek debt restructuring deal. Markets, guided by some economists and analysts, continue to press troubled European economies awaiting the creation of Eurobonds, while resistance to the idea from Germany and France remains strong. 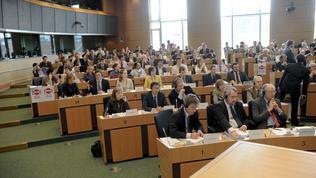 The new parliamentary season in the European Parliament is also starting with discussions on eurozone's debt crisis. On Monday evening members of the parliamentary economic committee will hear ECB President of Jean-Claude Trichet, Eurogroup President the Jean-Claude Juncker, Polish Finance Minister and Chairman of the Council of Finance Ministers Jacek Rostowski and European Commissioner for Economic and Monetary Affairs Olli Rehn. 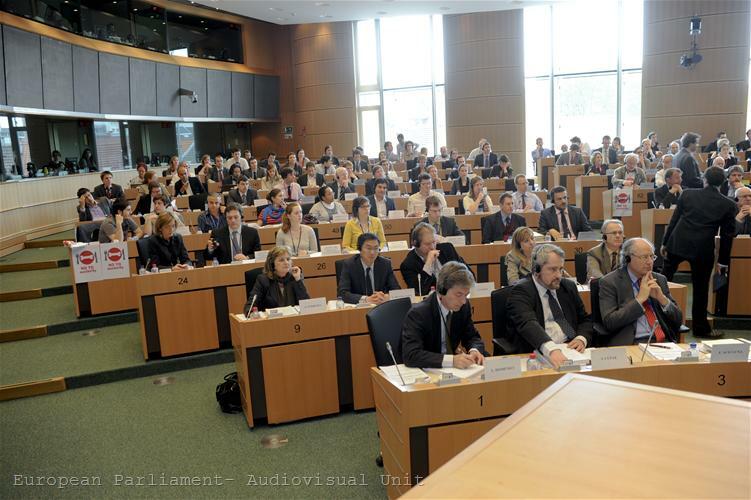 euinside will follow the discussions and will inform you in the coming days.